Anne was ready for a change. Could you be ready for a change too? Anne Yates is not your average 62-year-old. Actually, she’s not your average 22-year-old. She wakes up every morning at 4 a.m. so she can make it to Chico Master’s swim at In-Motion Fitness three days a week to work on technical stroke instruction. After competitive swimming for an hour, she takes a quick shower then heads over to her daughter’s house and plays with her two young grandchildren—a rambunctious 1-year-old and indefatigable 4-year-old— for the next two hours. Anne then heads to the office where she offers marriage family therapy to couples, and she will work for the next 10 hours. She seems invincible, but what people don’t know is that beneath her seemingly impenetrable armor, Anne’s body and soul have been in excruciating pain. Let’s just say a bad marriage between her body and soul for the Chico professional who prides herself for saving marriages gone awry. Externally, she exudes physical grace, but internally she is a physically and emotionally fragile. Anne was also involved in a car crash that came close to killing her. Traffic had been stalled on Highway 99 because of a coyote in the road. A driver going 55 miles per hour did not notice that the traffic has stopped. Upon seeing Anne’s car, the driver slammed on the brakes. Anne was hit from behind. Her car was thrown on to the side of the bridge above the park. It was a miracle her car did not go over the bridge. She survived, but the ghost of the accident haunted her. “I had major whiplash. I saw a chiropractor twice a week for a year.” The pain was constant, a culmination of the bike accidents and the car crash. The stress and emotional toll of Anne’s profession compounded by the recent death of her mother and her step-father demanded a physical outlet. She had no choice but to keep working out. The pain, though, had gotten so bad that she was about to surrender. “I was getting sciatica around my ankles. My back was killing me. It was waking me up all through the night. I was ready to stop working out.” Anne had planned a much needed family vacation to Hawaii, but she knew the pain was going to keep her from doing the things she wanted, needed, to do in Hawaii. Anne was skeptical when she first met with Miranda. What was P-DTR? Anne had been to Physical Therapy, used massage therapy, acupuncture, and strength training, basically she had tried a lot of different therapies to heal her body and elevate pain. However nothing had helped. Miranda uses P-DTR® therapy. P-DTR stands for Proprioceptive Deep Tendon Reflex. P-DTR was developed by Jose Palomar MD. P-DTR is a neurological reflexogenic treatment system that effectively resolves musculoskeletal dysfunctions by resetting sensory receptors and pathways that have been improperly integrated due to conflictive information in the body. P-DTR specifically targets those dysfunctional receptors by identifying where they are in the body through scientific testing developed by Dr. Jose Palomar. By using simple muscle testing and neural challenges, we can determine which pain receptors are dysfunctional and essentially reset them to make immediate and lasting advances toward restored function. Then, the next time they sense an injury or are stimulated, they are able to send appropriate messages to the brain. This technique is highly effective and can help people heal from pain and dysfunction anywhere in their body. Anne is one of the most sought after therapists in town. She understands the way emotions work kind of like the way a mechanic understands the way pistons fire. Only Anne’s pistons weren’t firing. Just like insomnia is the symptom of a more urgent emotional and physical problem, so, too, is physical pain. Anne was hurting inside. Her mother’s death had created a cauldron of resentment and rage that she had bottled up inside, a pressure cooker on the verge of implosion. Miranda is a detective of the body, sleuthing around to discover the emotional wound—not just the physical scar—that might be the culprit of physical pain. “She (Miranda) told me that she really likes working with people who have emotional blocks. It was either my second or third visit when she started working on my shoulder. Now, you have to realize, she knew nothing about my internal story. But she’s working with my shoulder and tells me that the way I carry my shoulder is ‘indicative of resentment and anger.’ Miranda told me she was picking up on this resentment and anger in my gall bladder and pancreas. She figured out the pain in my shoulder was a mixture of my physical bike wound and the emotional wounding from my mother. Miranda uses a combination of P-DTR, muscle testing and NLP- Neuro Linguistic Programing to establish relationships in the body between organs, muscles and emotions. Anne is now sending certain clients to Miranda. “I’ve sent three people from my practice who struggle emotionally and are in physical pain. From my own experience with Miranda, and seeing how the emotional pain and the physical pain fed off each other, I think if she can tap into their emotional blocks then the physical pain will go away.” Anne’s hunch has been correct. She reports that all three of her clients have said their physical pain has been significantly reduced. If you follow the latest in the health and wellness industry, you’ll hear a lot these days about identifying and correcting the “source” of pain. That will mean something different to various practitioners, depending on their background. For nutritionists it might mean, “you are what you eat.” Their philosophy is that health is built from the inside out, starting with the very building blocks of your physical body. To a chiropractor it might mean skeletal alignment. To a yogi, it could be something more metaphysical, like mainting spiritual alignment. None of them are wrong. So what happens when you have dysfunctional pain receptors? They become hyperactive, sending far too much signal to the brain than they should. In a case like that, maybe you do simply touch yourself on the arm and get a pain response in return. Does that make you a wimp? No. Now, you might be a wimp anyway, but not because of that. In this case, your dysfunctional pain receptors are sending bad information to the brain, and the brain can only respond to what it’s being told. One aspect of P-DTR® that makes it so powerful is its ability to specifically target not just muscular dysfunction, but dysfunction in specific types of receptors, including those that send information up the pain pathways to the brain. Today’s case was a woman suffering from pain in the anterior hip. She could not take a full-length stride and felt pain with every step. A few quick tests revealed dysfunctional pain receptors in the front and side of the hip. By loading these dysfunctions into the brain simultaneously and then triggering a deep tendon reflex (think about the leg jerk response when the doctor taps you below the kneecap), we essentially hit the “reboot” button on those receptors. After clearing just one dysfunctional pair of pain receptors, she was able to take a full length stride and felt very little pain. After clearing a second set of receptors, her pain was completely gone. Now that is truly addressing pain at its source. Posted by Rob Sawyer in Neurokinetic Therapy On August 17, 2014. Read the original article here. We all have a story, and everybody’s story is very important to consider when it comes to overcoming pain and dysfunction. The games you played as a child, that time you fell off your skateboard and broke your arm, the hours you spent practicing your favourite instrument, a torn hamstring at dance practice, long days sitting in the office staring at a screen typing, the adventure of a lifetime hiking a mountain, the laborious beauty of child birth, your job, your hobbies, your injuries, your surgeries, your tattoos, the way you pick up the washing basket. It is all extremely relevant. When it comes to movement, it is very much supply and demand. If your brain receives enough of the same demand to do something a certain way, it is going to get very good at supplying a way of doing so. I spent many years as a touring musician, singing and playing my guitar. I spent hours as a teenager practicing the guitar and at first it seemed impossible to play. I felt so uncoordinated and my hands just didn’t know how to achieve what I asked of them. With every failure my brain stored what not to do, and memorised each success. Slowly as time went on and I kept demanding my hands to hit the notes on each string until it became easier and easier. After years and years of this it was like my hands just knew what to do without me thinking very hard about it at all. This is motor control. Movement patterns are stored in the cerebellum (motor control centre) of the brain. 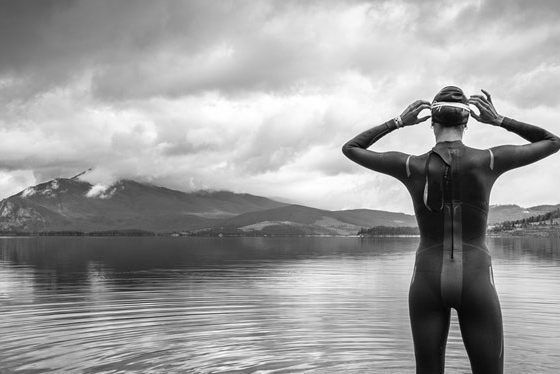 When we ask our body to achieve something, the brain sends a message to the musculoskeletal system via the motor control centre which co-ordinates and organises what movement patterns will be used. The more we do this the stronger and easier to achieve the signal gets. These movement patterns can be altered or replaced with substitute patterns at time of injury, post surgery, or inability to sustain repetition of a movement. This harnesses the potential achieve what we require of our body when injured, during rehabilitation, or when we feel the desire to push when we cant sustain a movement in repetition. Think of this as functional dysfunction. I learnt this through personal experience as I am sure many of you may have too. In the later years of my travelling, late nights and playing my guitar, fatigue slowly caught up to me. My hands that were once fast and precise grew exhausted. I began subconsciously developing ways to compensate for the fatigue. I would hike my shoulders up, clench my jaw, hold my breath, and do what ever it took to get through the songs and play my guitar. Do something enough times and what happens? You get good at it! Life had handed me a gift of inspiration to make change. Fortunately I listened. I put an end to the touring and late nights, and began a path of searching to find out why I was experiencing this pain. I tried as many therapists as I could including doctors, massage, chiro, osteo, dentistry, neurology, psychology, and more but nothing seemed to change. I would get some short relief from the body work sessions and a day or so later the pain would return. This fuelled my motivation further. If no one could help me I would figure it out myself. 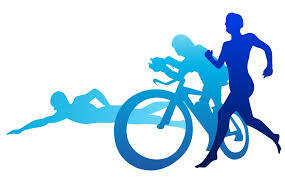 I had already begun studying the human body and had completed a certification in Personal Training. I enrolled in a Diploma of Remedial Massage Therapy and towards the end of my studies one of my lecturers told me about a guy in the states who was helping peoples back pain by looking at their big toes and so on. His name is David Weinstock, the founder of Neurokinetic Therapy (NKT). I read a few things on the internet about it and couldn’t believe there was no one in Australia using this technique. I purchased David Weinstock’s “Neurokinetic Therapy” book, read his blog posts, watched his videos and read anything I could find relating to Neurokinetic Therapy. Suddenly it all made so much sense. Perhaps I had developed compensation patterns during my guitar playing and thats why my neck and jaw hurt all the time? I began teaching my brother how to perform muscle and movement pattern testing to help me figure out exactly what was going on. Another good friend, and now Neurokinetic Therapist Nathan Wilkinson also helped me to determine the source of my pain. I was indeed clenching my jaw, holding my breath, and straining my neck in order to help my hands do what I was asking them to do. Using the NKT protocol it was possible to release these compensators, and re-train my brain that it is possible to use the muscles of my hands without having to compensate all the time. All I can say is thank god for NKT! Previous therapists were on the right track with the fact that yes my neck and my jaw muscles were tight and painful. But know one was asking why. When ares of tension were being released in my body no one was giving stability back to the areas that were relying on that stability. Thats kind of like kicking a walking stick out from under someone who relies on it for stability. Perhaps not to that extreme, but hopefully you get the point. That is where NKT is different. It allows you to do the detective work to find out where in the body the brain is struggling to access and utilise in a movement pattern, where in the body is compensating for this, release the compensation, and give the brain back a pathway to access what was missing. I am honoured to be a part of a new breed of therapists in this country who have discovered this NKT gem and are now integrating it into their practice. I am also honoured to have felt the healing power of NKT in my own body. If you are struggling with pain, movement, rehabilitation, or performance give Neurokinetic Therapy a try. Work with someone who listens to your history / story, watches you move, can connect the dots as to why you are in pain, and give your body back what it is missing. With the increasing popularity of movement screening in the sports and fitness world, corrective exercise is, by association, also becoming more commonplace. By definition, corrective exercises must address and alleviate patterns of compensatory movement; the causes of weakness and pain. And therein lies the rub. Most forms of corrective exercise, and also of most soft-tissue therapies, are effective, but temporary. You’ve likely experienced relaxation and “centeredness” following a massage, and also the gradual fading away of those effects. This occurs because your muscles haven’t had a chance to “learn” how to stay relaxed. 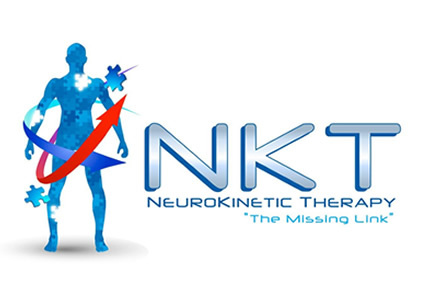 Enter NeuroKinetic Therapy (NKT), brainchild of David Weinstock. NKT is based on the phenomenon that our brains are capable of making very rapid and lasting changes to our muscular systems and motor control. In fact, the Motor Control Cortex (MCC) is the part of the brain where the magic happens (see video). Weinstock stresses that the beauty of NKT lies in the fact that it is a technique. Meaning that no matter the practitioner’s forte, be it Chiropractic, Physical therapy, Sports Medicine, Soft-tissue specialist, the same great results can be experienced. The correct pattern is rehearsed and solidified through simple exercise. With a skilled practitioner, a client can experience dramatic relief through NKT, but must also play a proactive role in treatment. The practitioner has found the source of the ailment, and has prescribed the corrective exercises. Now, it is up to the client to spend a few minutes every day performing the correctives so that the new, correct movements become habit. Some balk at having to do “homework”, but those who have been in pain for years find that a couple weeks of corrective moves is more than a fair trade-off. It could be argued by those that have been through physical therapy that this is no different; that they’ve been down that road and it hasn’t worked. The reason that it hasn’t worked for some is that “traditional” physical therapy has not addressed the “why”. As in, “Why does the pain keep returning”. Because the root cause has not been addressed, and the root cause lies in the brain, where movement is modified, not in the muscles. NKT addresses the root cause. In the New York/Metropolitan area, Kathy Dooley DC, Perry Nickelston DC and Eric Nelson DC, all utilize NKT in their practices, as well as teach the courses. They walk the walk, working with athletes and non-athletes alike. Some research, a call, and a visit can have you performing and feeling better than you have in some time. Pilates: Aid for Low-Back Pain. Pilates can help; its major focus is to strengthen the deep stabilizers of the spine and is beneficial if you are recovering from low-back injuries or experiencing low-back pain. Moira Merrithew, co-founder of STOTT PILATES® and its executive director of education, explains why Pilates is effective. Pilates, created by Joseph Pilates, is a gentle, restorative exercise regime that suits most people in the process of recovering from injury and rebuilding their bodies. The foundational approach focuses on core strength, precision and control of movement. Combined with current exercise science, this approach is a recipe for success, for a number of reasons. Pilates Develops Body Awareness. You need this awareness in order to recruit and strengthen the deep stabilizing muscles. You may be unaware of whether you are using your deep stabilizers or not, and this can leave you vulnerable to pain. A qualified Pilates instructor can help you learn how to effectively use your stabilizers. Pilates Promotes Effective Breathing Patterns. Effective breathing patterns alleviate stress, which can be a major source of back pain. Conscious breathing provides inner focus, allowing you to become more aware of your body and enable recruitment of deep stabilizing muscles. Pilates Builds Core Strength. You learn to engage the deep pelvic floor, which in turn works with the transversus abdominis and affects the positioning of other structures in the lumbopelvic region, providing support for the lower back. For assistance in learning Pilates, seek the guidance of a qualified Pilates instructor or personal trainer. Following these basic Pilates stability exercises will help recruit the deep core muscles, stabilize the entire spine and help decrease or prevent back pain. Note: These exercises should be performed only with prior permission from a healthcare professional. Starting Position. Lie on back on mat, feet on mat, hip distance apart. Spine is in neutral position, neither arched nor flattened. 1. Inhale: nod head slightly. 2. Exhale: curl upper body off mat without pressing low back into mat; raise arms slightly off mat during curl. 4. Exhale: return to starting position. Starting Position. Kneel with equal weight on hands and knees, knees slightly apart. Hands are directly under shoulders, and knees are directly under hips. Spine is in neutral position, neither arched nor flattened. 1. Exhale: starting from tailbone, round the spine, allowing head to bend toward mat. 2. Inhale: hold position and tighten abdominal muscles. 3. Exhale: starting from tailbone, return spine to starting position; bring head up last, but keep eyes looking down. Starting Position. Lie on back on mat, feet hip distance apart. Pelvis is in neutral position, neither arched nor flattened. 1. Exhale: starting from tailbone, slowly peel spine off mat until hips are lifted and weight is resting between shoulder blades. 3. Exhale: starting from top of spine, slowly return to mat, lowering to starting position.